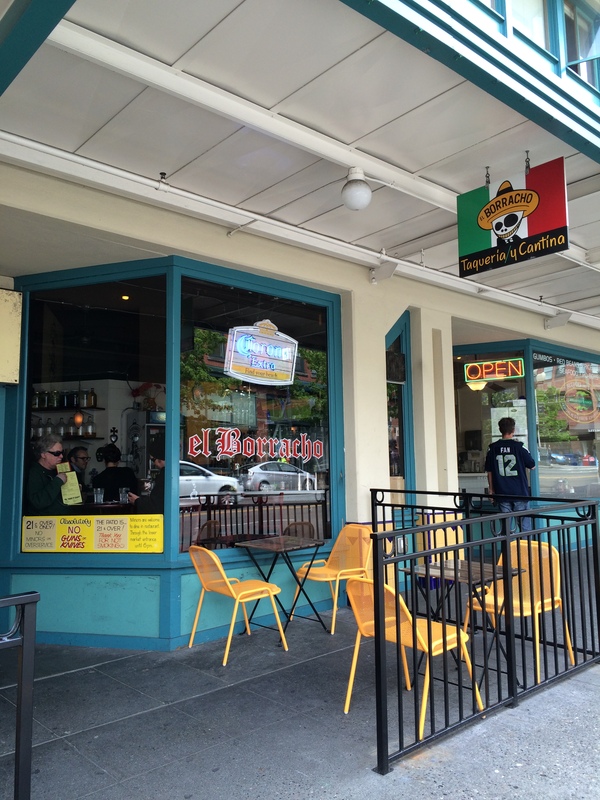 While in Seattle, I had a few particularly good meals. 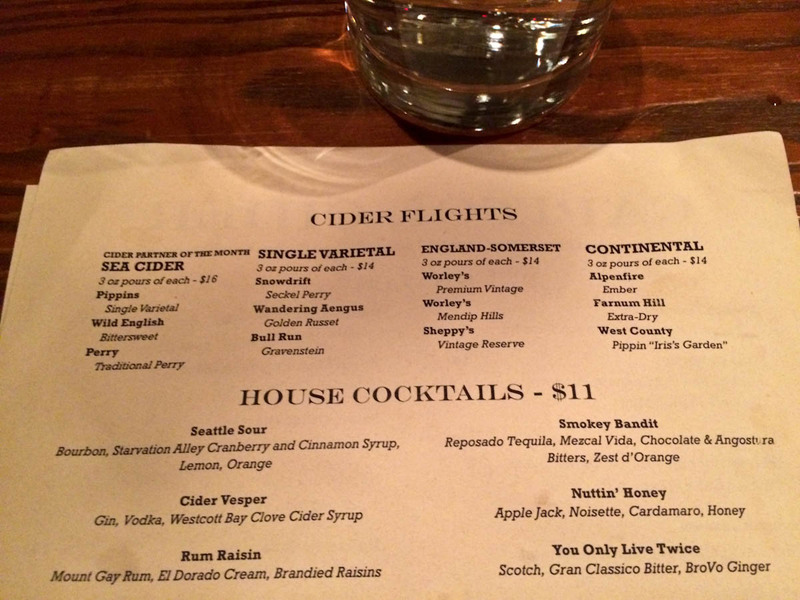 Capital Cider – I happened to Google “gluten-free Seattle” and found out about Capital Cider. 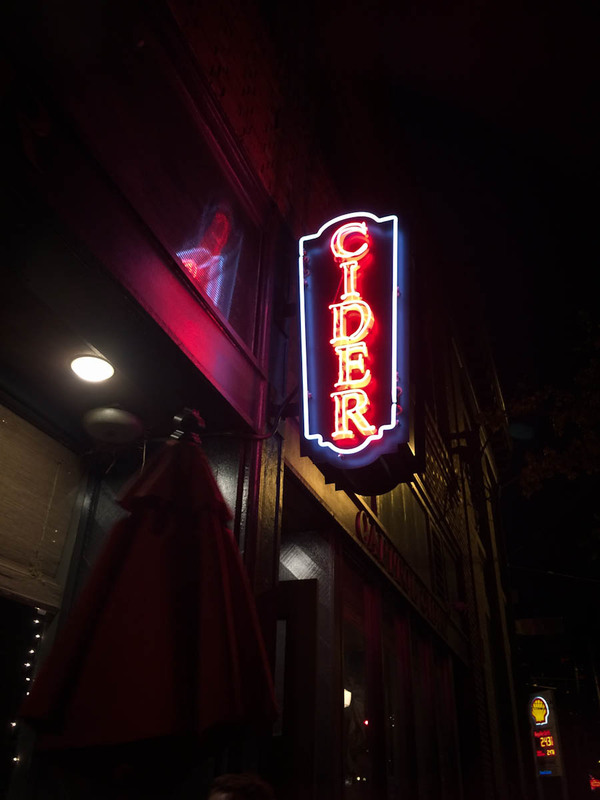 Their menu was entirely gluten-free, they had what appeared to be vegan options, and best of all, they served cider flights. I asked my boss if he wanted to check it out and he said yes. Then another person joined us, and someone she was talking with and another two chimed in and soon a group of seven was seated in the lower level of the restaurant and bar. It was “Drink and Draw Night” which turned out to be rather enjoyable. I know I had hand cut fries and some Brussel sprouts, and maybe some broccoli, all of which were quite tasty, but the drinks are what really mattered. 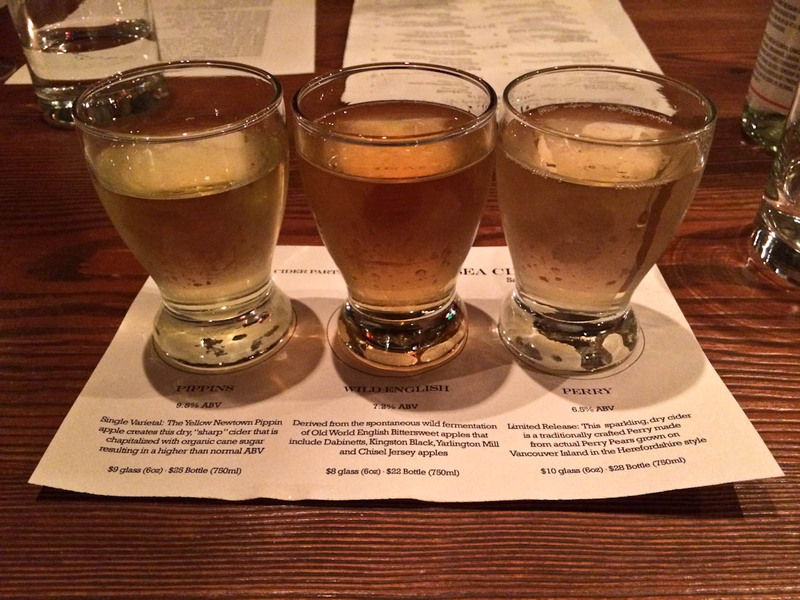 I had a flight of ciders, all of which were a bit dry for me, and a delightful mixed drink made with Scotch, Gran Classico Bitter, and BroVo Ginger. 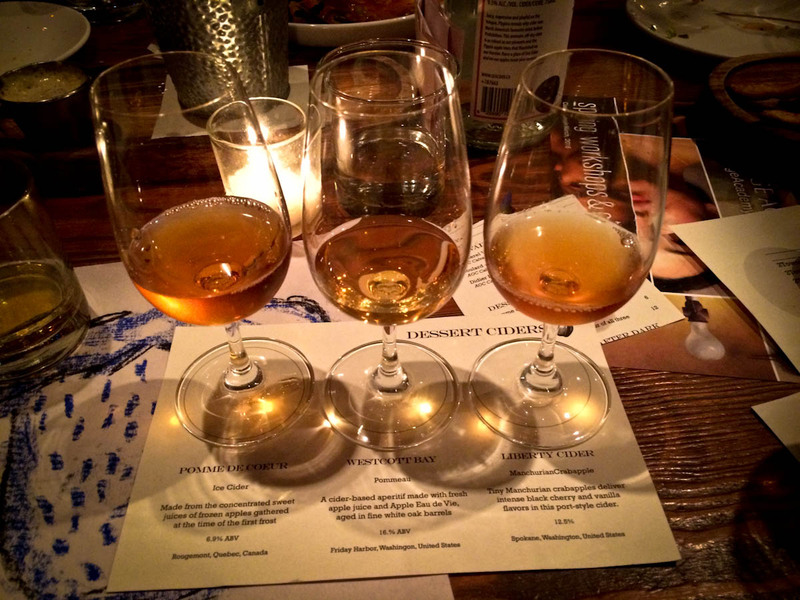 The outstanding part of the meal came when I realized they had flights of dessert ciders – like port made with apples. They were amazing. 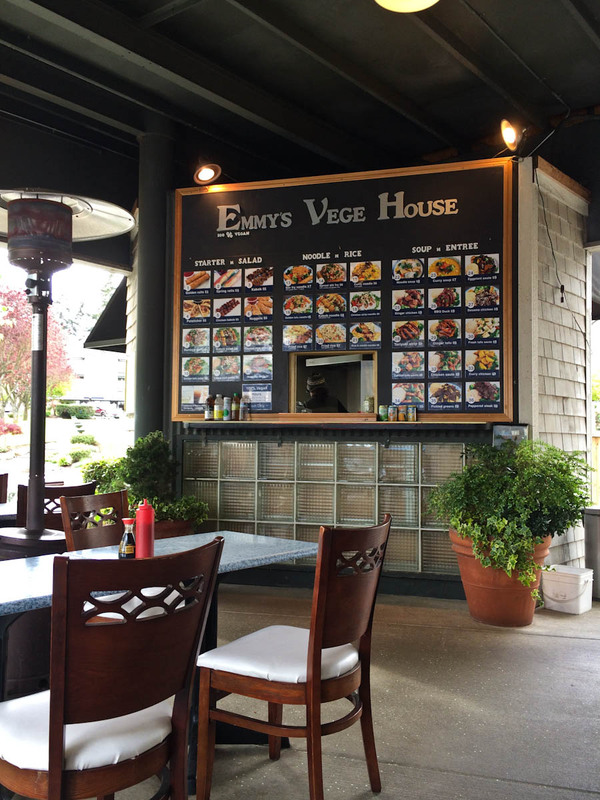 Emmy’s Vege House – I took the ferry over to Bainbridge Island after lunch. I was walking around and decided there was no way in hell I was passing up an all-vegan Vietnamese fast food kiosk in the center of town. Emmy’s Vege House has a full-picture menu and outside seating. It was a perfect respite. 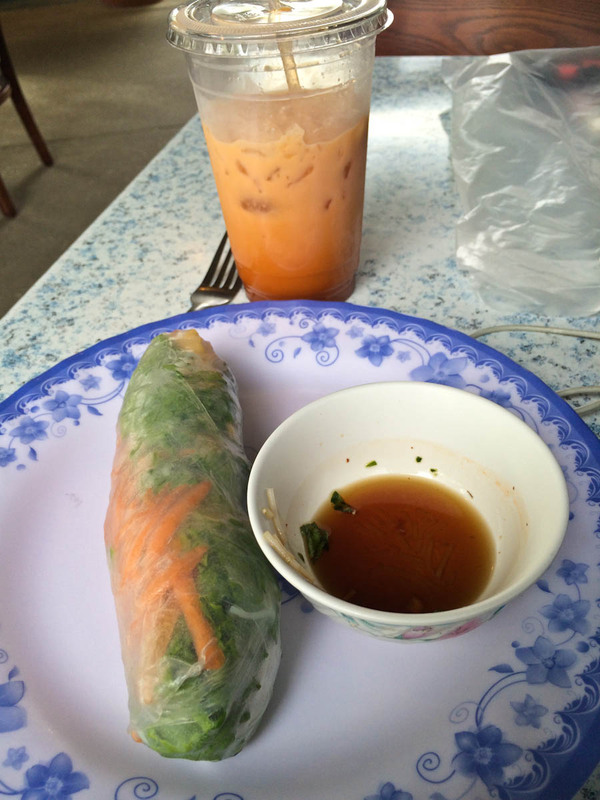 I ordered summer rolls and a Thai iced tea. Veggie Grill – There was a Veggie Grill around the corner from the hotel. We need more of these on the East Coast. Over the course of the days I was there, I had the tempeh tacos, gluten-free mac and cheese, asparagus soup, and bahn mi salad. 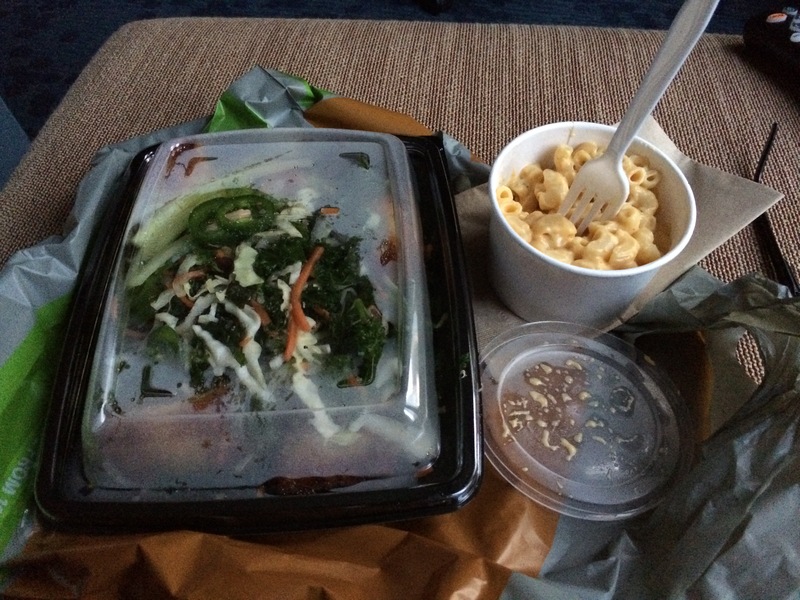 The tacos and mac and cheese remain my favorites. 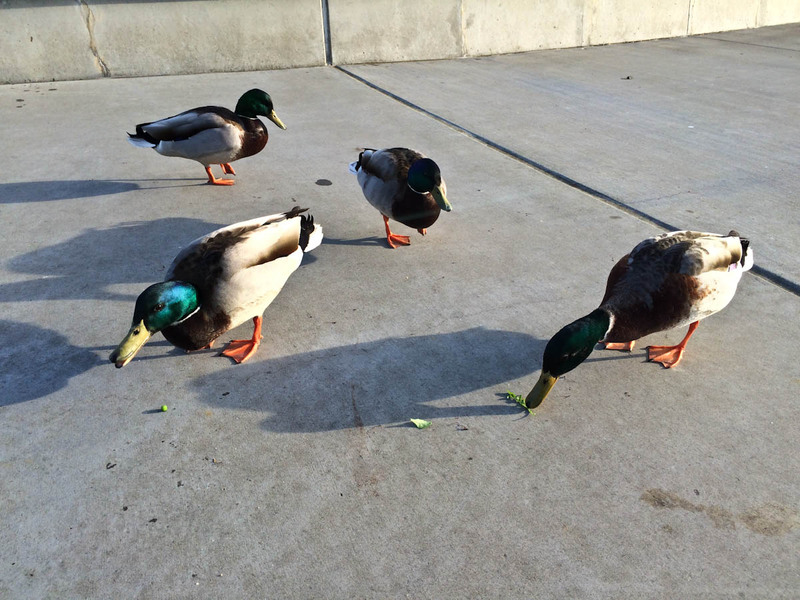 Oatmeal, Lake Union – My absolute favorite meals were eaten at Lake Union with my new duck friends. I was out for an early morning walk and ducked into a Whole Foods. They had a decent hot bar with oatmeal and toppings. I took mine to-go and walked up to Lake Union. It was a perfect morning to sit on a bench and look at the water. The first morning the ducks and geese came to see if I was sharing. 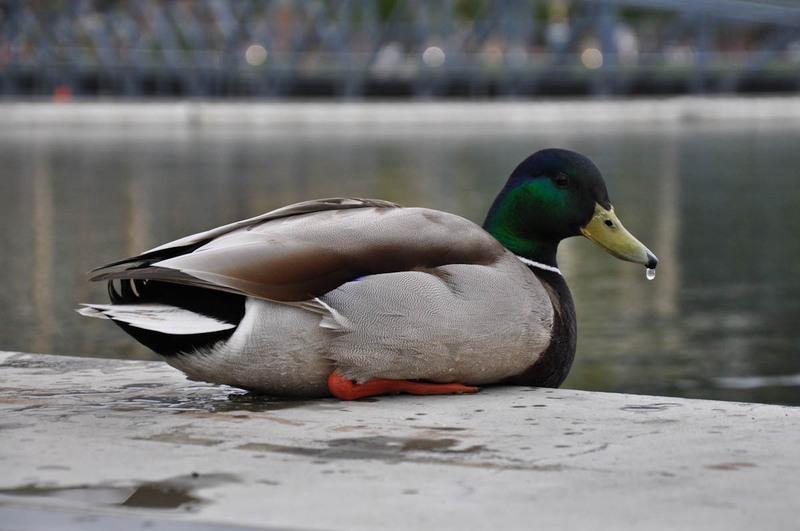 The next morning I picked them up some peas and corn at the salad bar and we had breakfast together.